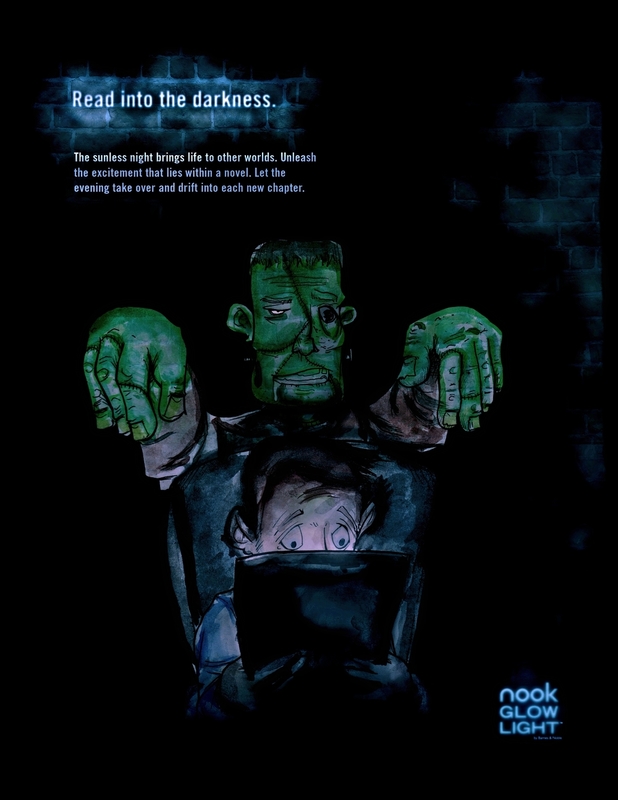 Introduce the NOOK Simple Touch Glowlight reader. There are many E-readers to choose from, but this is one of the few that has a built in reading glow. You can read all night in the dark. Print and banner ads were created to inform people about this unique feature. OOH is a large billboard with a digital billboard alongside that features the NOOK glow to attract attention.